psc on board: Guess what! Willingness to earn and share knowledge and experience - checked. Willingness to have fun - checked. Willingness to know new people and meet all of those I haven't seen in the last year - checked. Willingness to sleep less and talk more - checked. 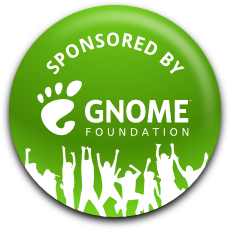 This could not be possible without the help of the GNOME Foundation. Thank you very much and hope to see you all there! Nice to see you are coming too! Rolandixor: lol I have been lately very focused on my exams. Once I am done, I want to go on working on Cheese. I would also love to try new things!